Minimum quantity for "Trading robot HEDGE GATE v.3.1.15 for Meta Trader 4 end Meta Trader 5" is 1. 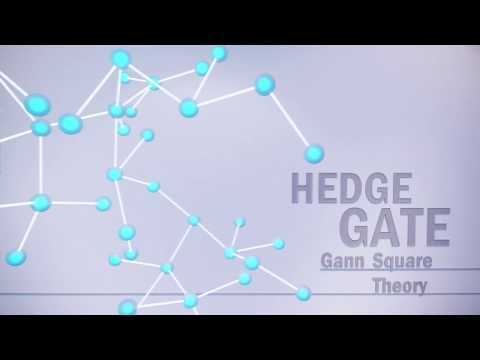 Presenting a third generation of the multi-currency hedging forex advisor, HEDGE GATE! Our company made tremendous improvements and changes in the advisor's algorithm. Strategy of the market entry direction stayed the same "GANN SQUARE" theory. In 2013, we've started working on improvements of actions algorithm for opened profit and loss making positions support. And we've reached results! As in previous advisor versions, we continued to use StopLosses, but with much more bigger improvements on averaging strategy. Targeted profit from set date. Loss hedging for the most loss making position on account of profits gained on other instruments. Market entry with predetermined grid of pending orders in boundaries of calculated channel in projected intraday profits. Now the HEDGE GATE trading became more profitable and less risky in relation to other versions. Strategy of capital management became more flexible and logical. With many calculations executed in mere seconds, we've teached the advisor to react on changed account's balance. Depending on the time, overall market activity and current session, logical decisions are made to react to these intraday changes. We are not hiding the profitable strategies! Besides forex trading, second direction of our company is to develop and commercialize the forex trading systems. We've created automated trading system that is suitable for the most demanding forex traders. We've worked on this system starting from 2011, finding and excluding the weak aspects and strengthen the strong once. And in the end, we are honored to offer you this multi-currency self-learning "HEDGE GATE” forex advisor. hedging strategy on major currency pairs. Market entry direction calculations based on "Gann sqare" theory. As an example - best result in trading on EUR/USD for 2013 is 1 542% of profit! Choose only profitable and safe forex advisors! 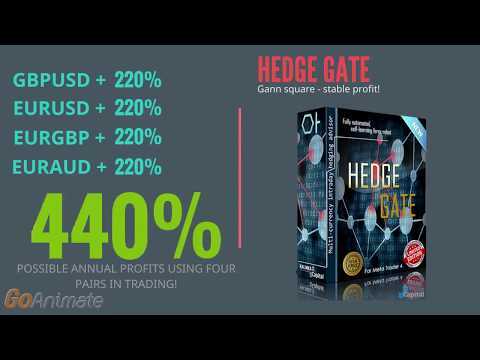 Video is an example of trading hedging forex advisor HEDGE GATE. HEDGE GATE intraday forex advisor. HEDGE. 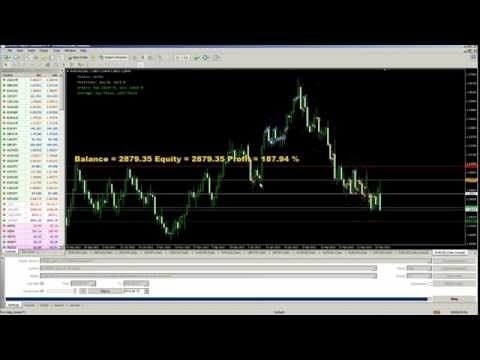 Video exmaple of trading with take profit and stop loss. Averaging is not used.